David Chang swears he has no idea what he’s doing. 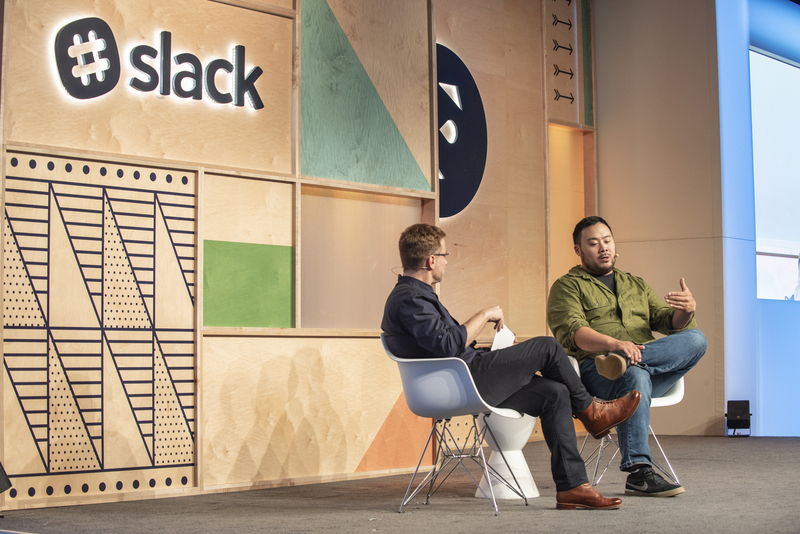 He repeats it, somewhat unconvincingly, during a fireside chat with Slack CEO Stewart Butterfield at Frontiers in New York City. But if massive success can occasionally be written off as a happy accident, Chang’s accolades are far too extensive to ever be discounted as dumb luck. His renowned tasting-menu restaurant, Ko, has won two Michelin stars; he’s a New York Times best-selling author; and he’s notorious for breaking the cardinal rules other chefs won’t touch (including giving guests the boot). Chang has earned a reputation as the bad boy of ramen, but onstage there’s barely a flicker of bravado. Instead, he doles out life advice that spans topics ranging from executive coaching to the creativity conundrum posed by his famed steamed buns. To hear such wisdom makes it clear how Momofuku has become a household name, why his show Ugly Delicious is a Netflix sensation, and why his food is just so darn good. Nab early bird discounts for Frontiers before they're gone. All workshops, sessions, speakers, and parties included. “I think you learn by screwing it up,” Chang says. “It’s the height of stupidity to think everything is going to work according to plan.” Even the safest options fail. He runs through the list of compromises he made when he and his team first opened Momofuku: Everything on the menu was born of necessity. He didn’t want an open kitchen or minimal decorations, but the group had leveraged everything they had and it was all they could afford. As an expectant father himself, the analogy is top of mind. He wrestles with the characteristics of an ideal parent, chief among them to be present and to enable children to make their own decisions. William Faulkner is thought to have said, “In writing, you must kill your darlings.” Chang feels the same way about signature dishes—which is why CCDC Momofuku, his sole Washington, D.C., restaurant, doesn’t have any of his world-famous ramen or steamed buns. Instead, Chang hired chef Tae Strain to completely dismantle the menu. The ramen and steamed buns are gone, and Chang knows that getting rid of these items is a bit indulgent. “Do you want to feed people, or do you want to feed your ego?” Chang asks to murmurs of agreement. The final stop for Frontiers 2018 is coming up quick. Sign up now to catch us in London on November 13 and 14. Nic Vargus has never been kicked out of Momofuku.